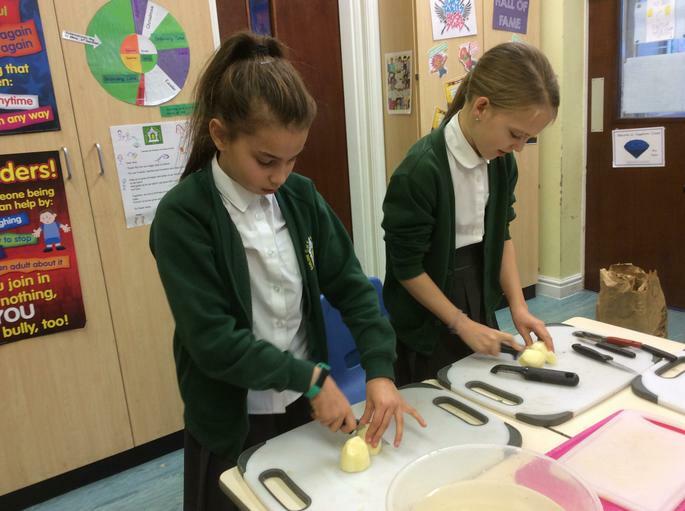 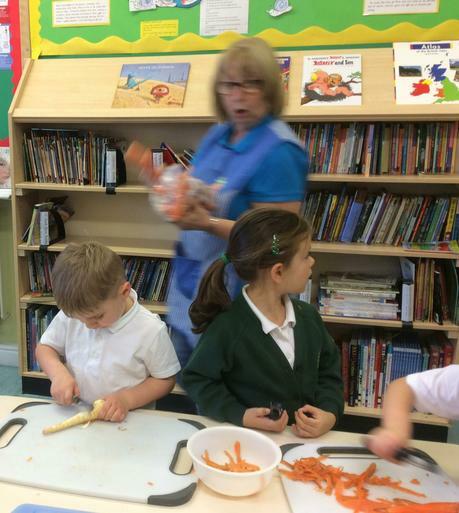 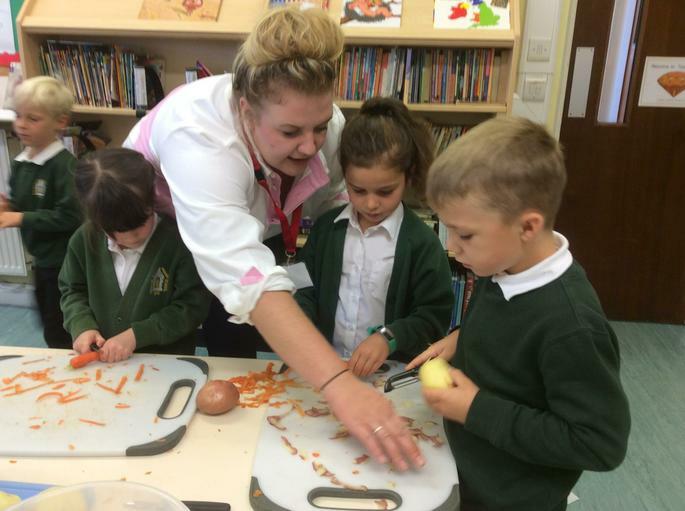 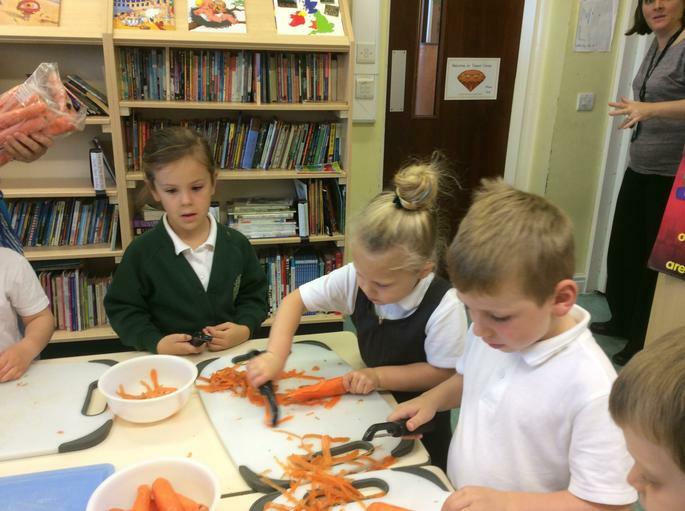 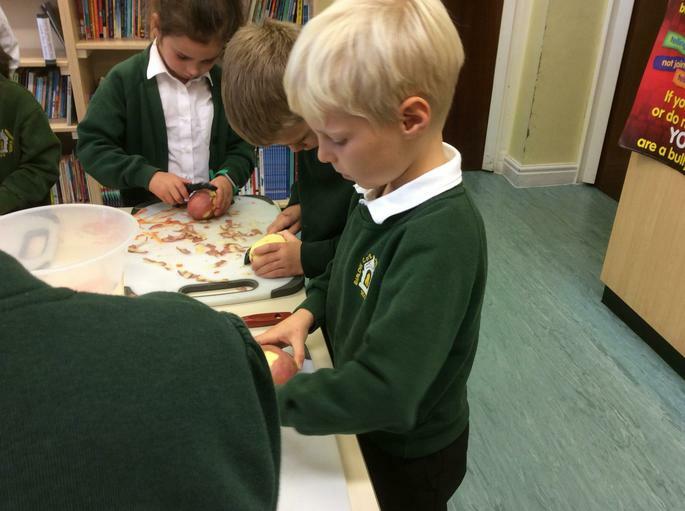 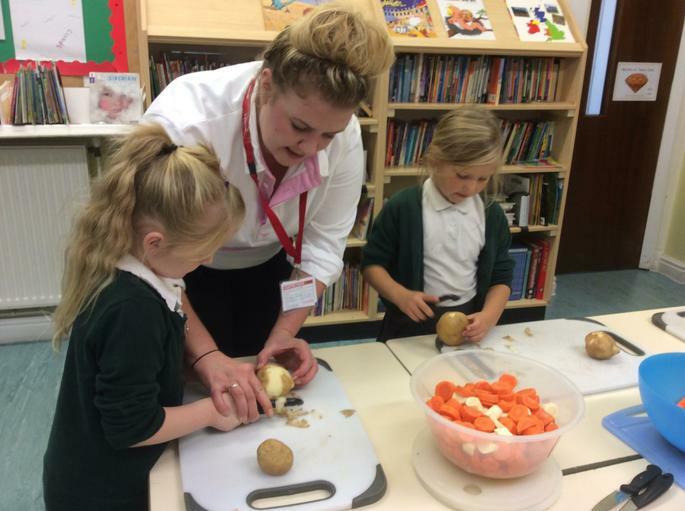 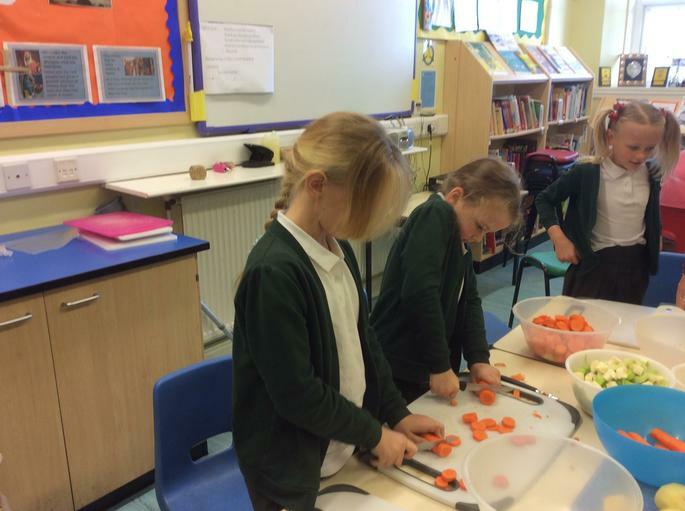 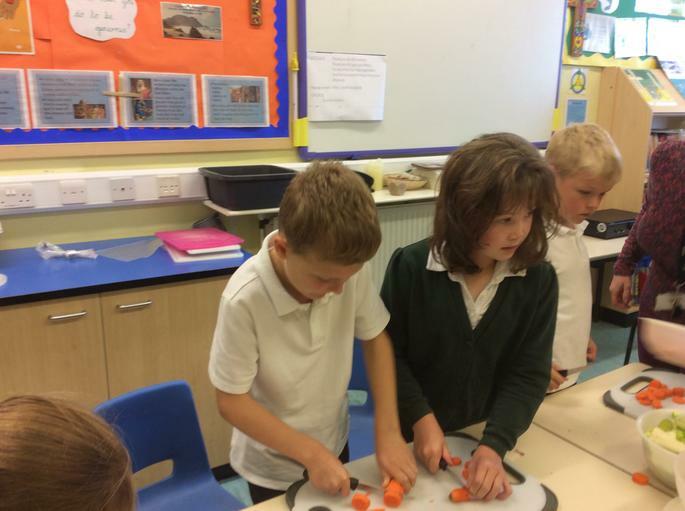 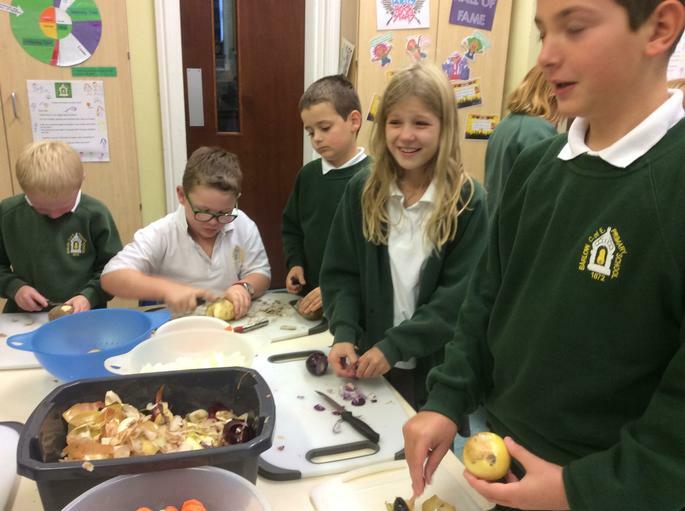 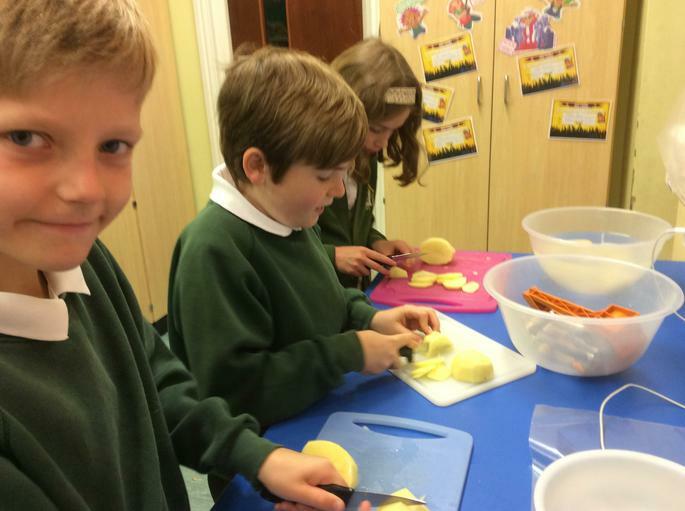 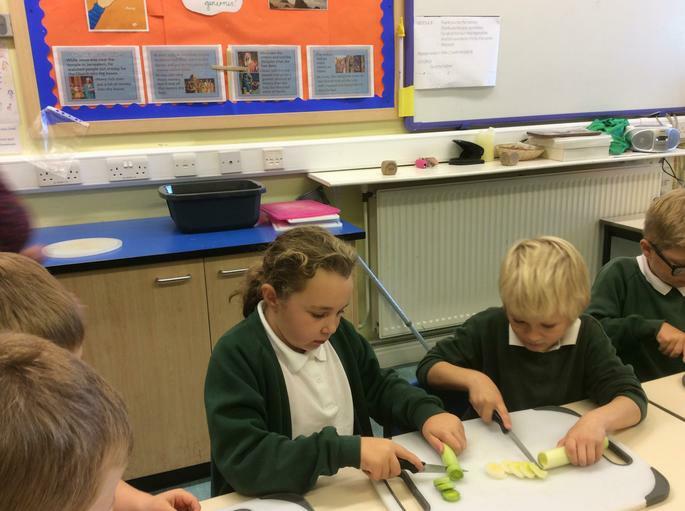 We were absolutely delighted with the amount of support we had of vegetable donations and of volunteers who worked throughout the morning to pull together the children to peel, chop and prepare the vegetables to create two delicious soups: Potato and Leek and Vegetable. 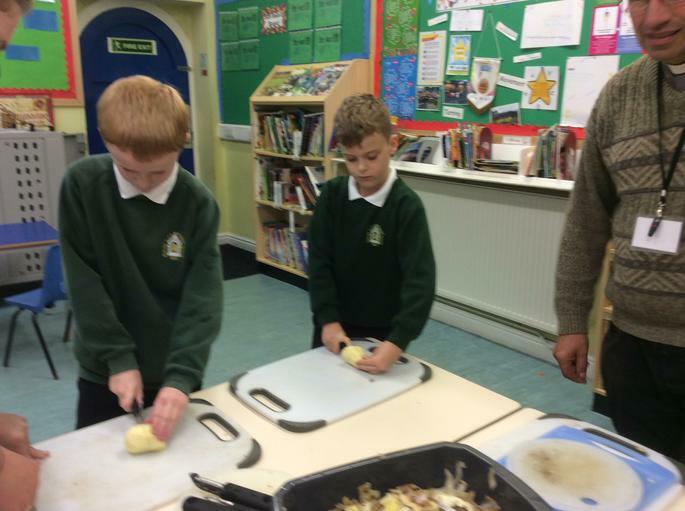 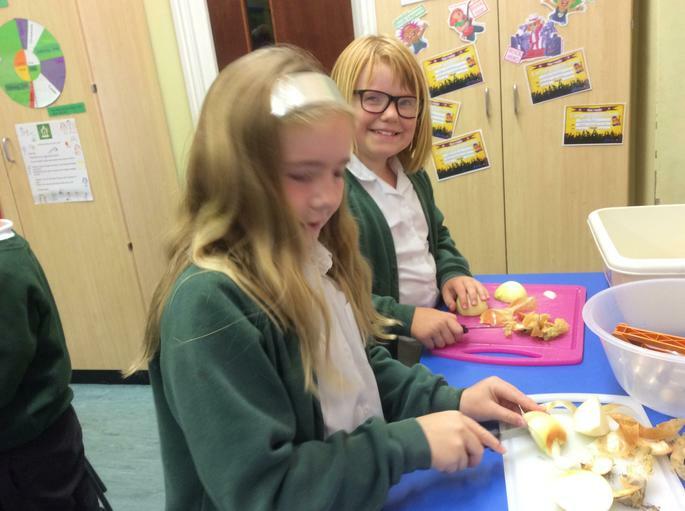 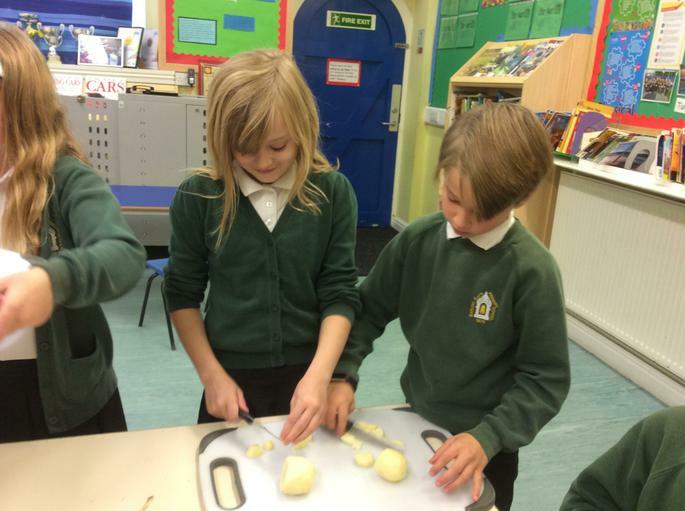 These fantastic cooks, who willingly chopped countless onions (as we couldn't ask the children to endure that!) 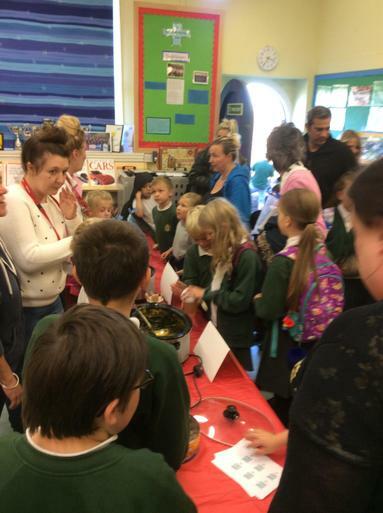 and gave up so much of their time were the whole reason this event was such a success - thank you. 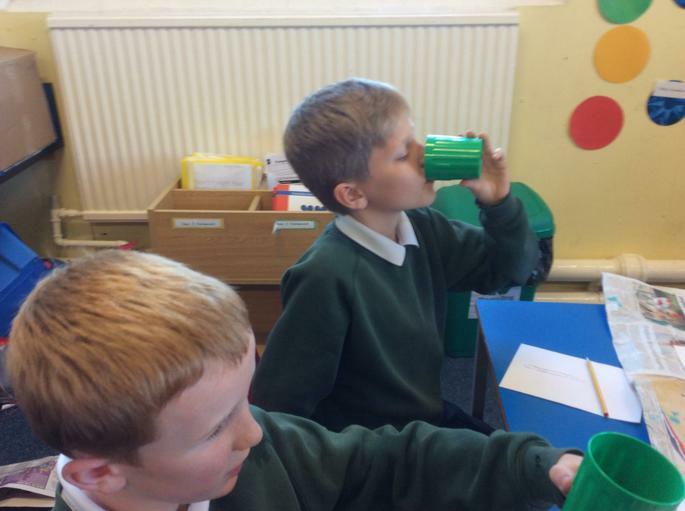 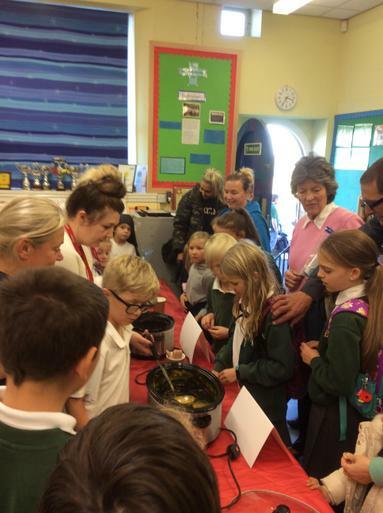 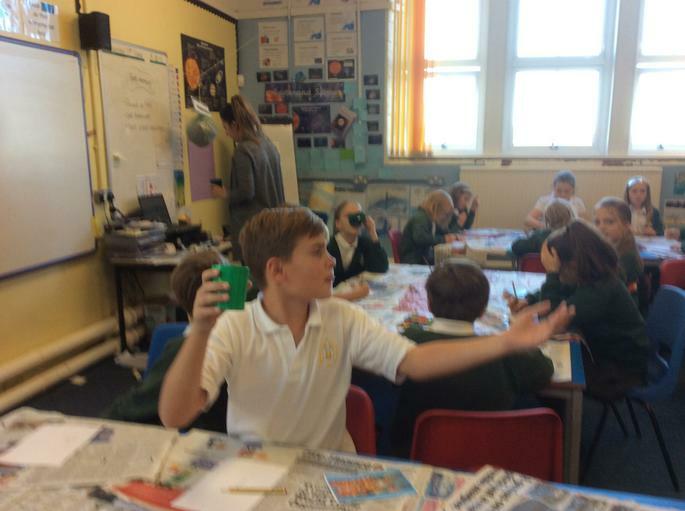 We offered the whole school a taste of the soups and then opened the doors at the end of the day, and with the help of the Eco committee too, they'd 'sold out' within ten minutes - we're sorry to say there were even tears shed by some children as there was no soup left! 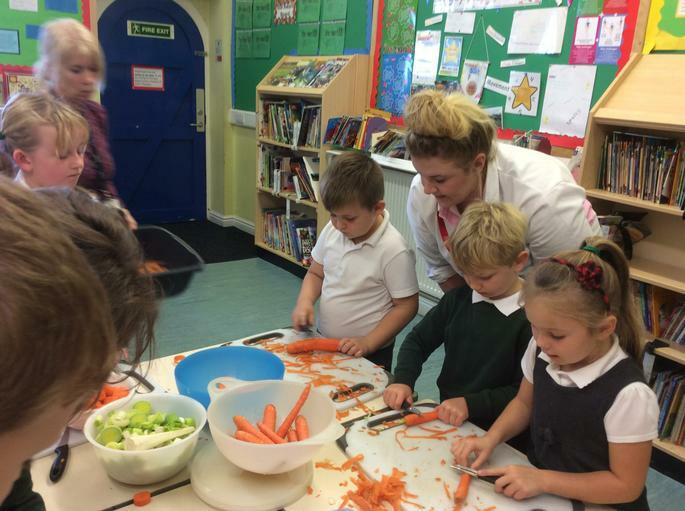 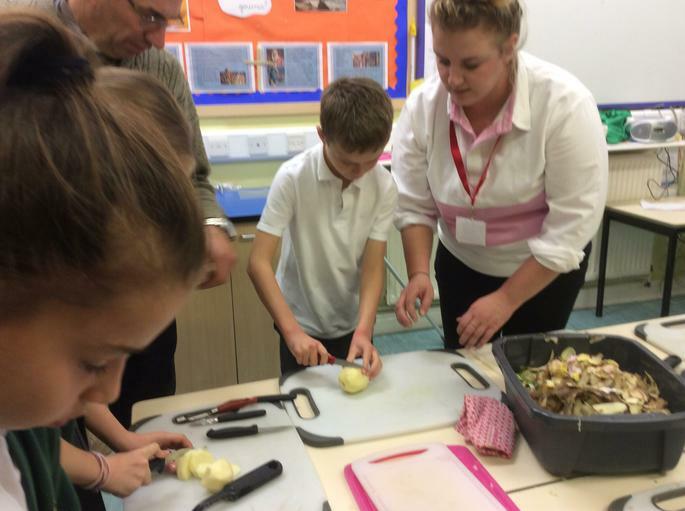 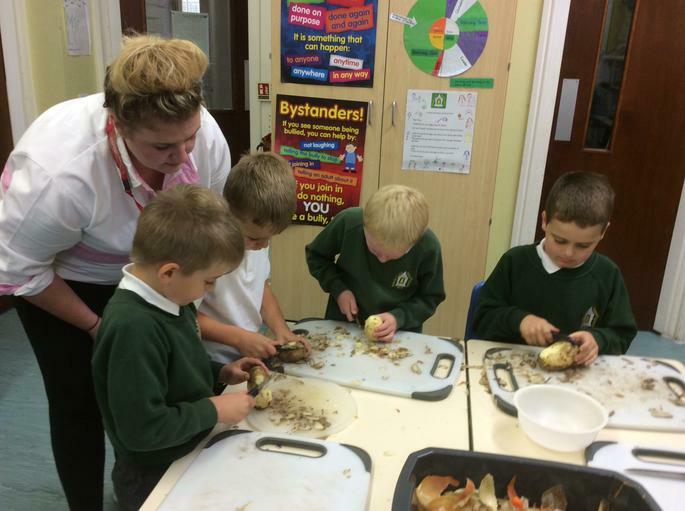 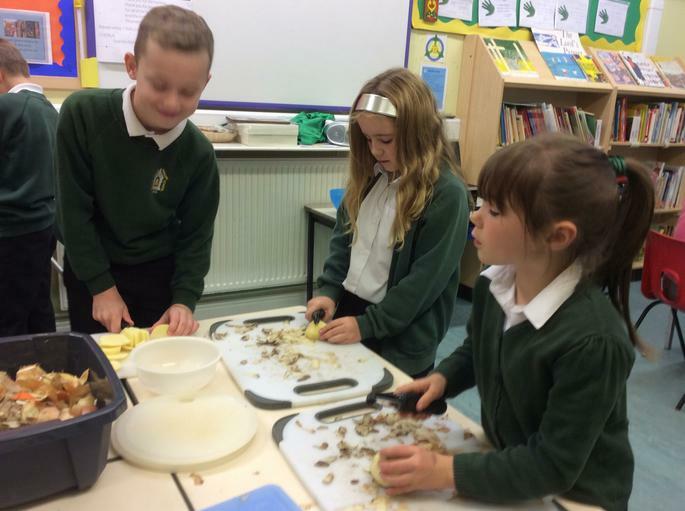 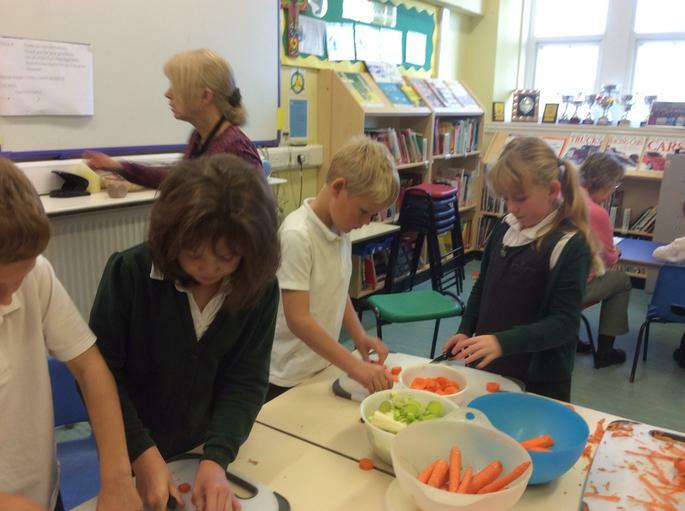 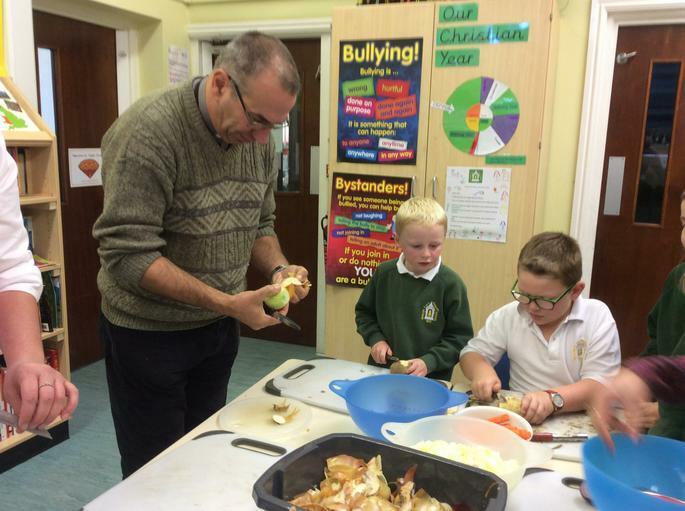 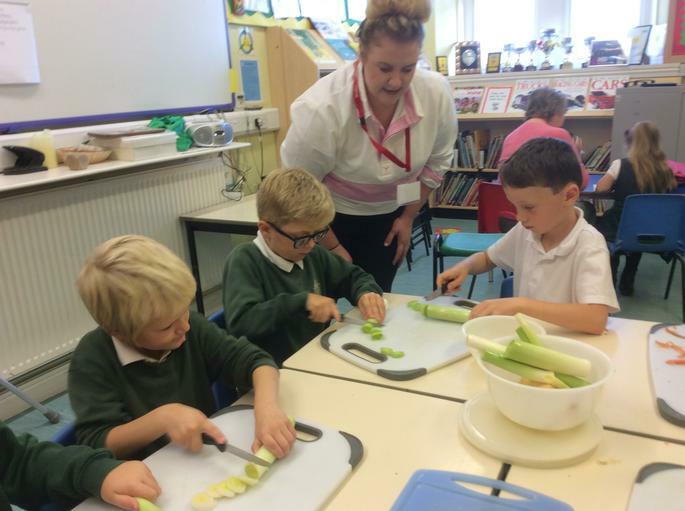 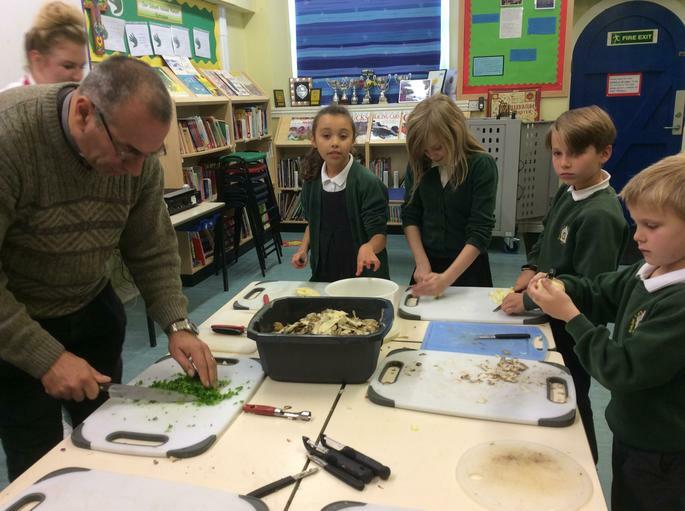 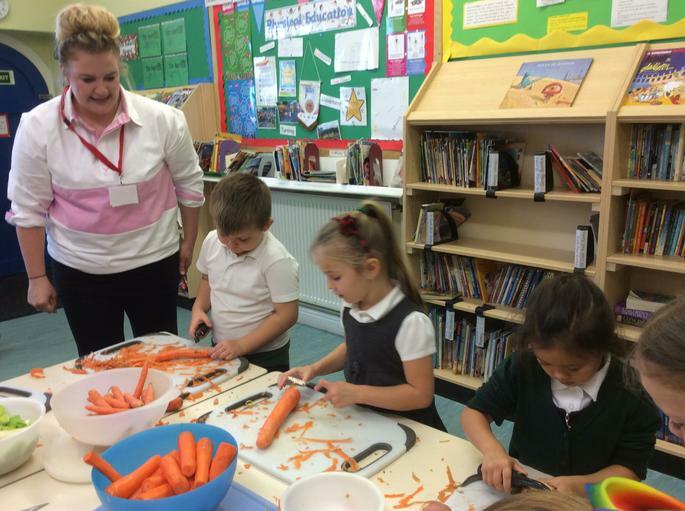 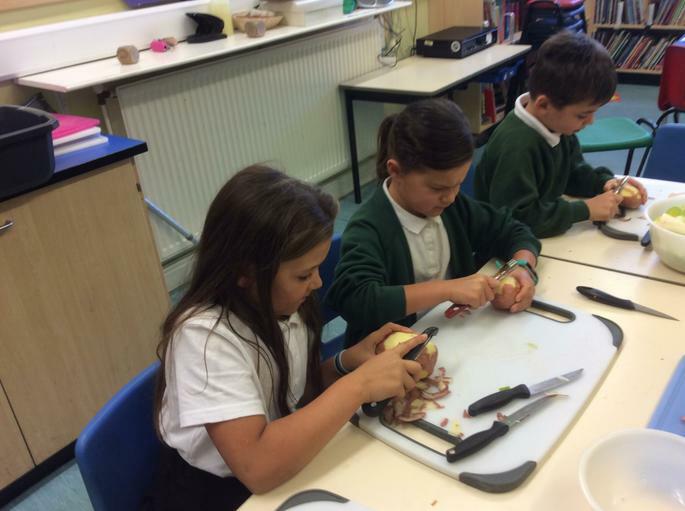 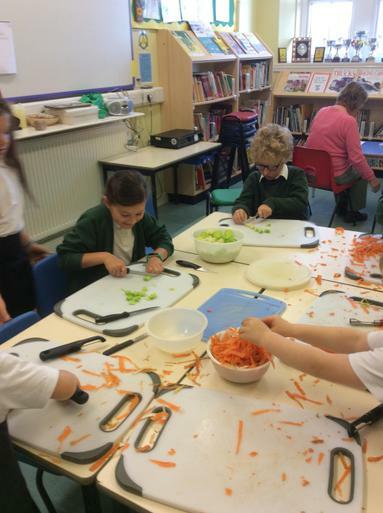 All of the children loved being involved in the preparation and many picked up new peeling and chopping skills which we hope mums and dads will keep putting to good use ready for next years Big Soup Share which all of the volunteers have said we must do. 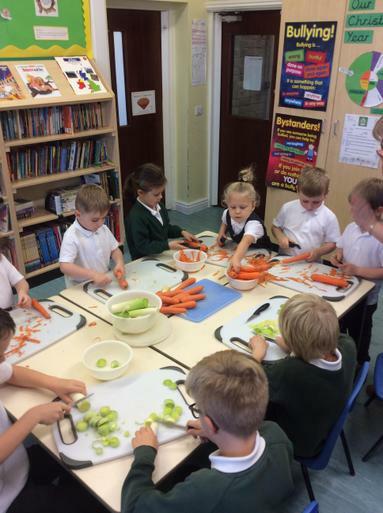 We made around £26 in donations which will go towards seeds and plants to improve our own school gardening so that next year the soups will be even more of a Barlow Soup Share than this event.